As every baby's journey is different, so too is every mother's. 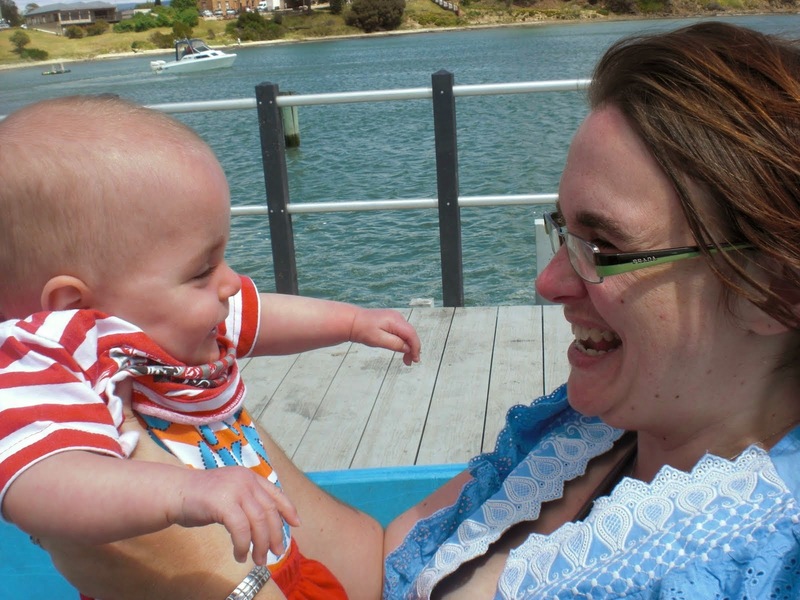 But some of what a parent of a baby in special care feels is, to some extent universal. In the beginning I felt a million emotions. Relief, joy, elation, fear. The emotions were completely jumbled, and I was up and down like the proverbial yo yo. This is pretty normal, you have all the normal pregnancy and birth hormonal stuff going on, plus you are in a traumatic situation that is often changing, no one can tell you what is right or wrong in those early days, all you can do is go with it. We had amazing nurses who worked hard to empower us as parents and to involve us in our baby's care. I did have problems with midwives, many of whom weren't experienced in pre term birth and were out of their depth. I also found my notes were very patchy and handover poor at times. None of this helped me feel better emotionally. Joseph was very poorly at times, and was in intensive care for 4 weeks. This was actually for me, emotionally, somewhat the easiest part of our journey, which seems strange now. But things were happening, doctors and nurses were doing things. Joseph had, for the most part, one to one nurses and they had time for me. I got my support from them, especially B, F and A. It was clear that Joseph had to be in hospital, every day brought new challenges, setbacks certainly but also elating highs. Yes it was immensely stressful having a sick baby, but my brain knew how to deal with that. I went into work mode, and wrote lists of questions, kept notes, and kept my focus. High Dependency Initially the move into high dependency was wonderful, progress was being made, and Joseph was doing well. 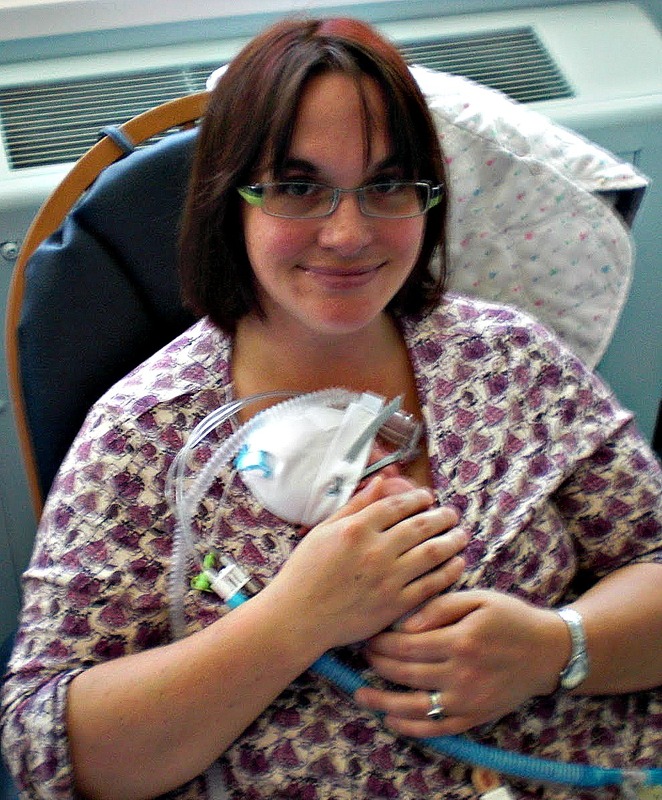 I started to get access for kangaroo care occasionally, depending on who was on, and I started to feel a little more like a mother. I learnt how to position him, often knowing more than the nurses about what he liked and didn't like. However as our HDU stay dragged on, this is where emotionally things got tough, and this is pretty normal from what I gather talking to other mums. Joseph was no longer "sick" the reasons for him being in hospital were less clear in my head. We started to get more inexperienced staff and lost our close knit team of intensive care nurses who were looking after sicker babies. Babies came and went, so many babies were admitted for a week or two, I'd just start to get to know the mums and they'd leave. It was pretty soul destroying. I always stayed happy because it wasn't their fault they had later gestation babies, it just made me feel more a failure, and more separate and alone. I really began to resent the unit, the nurses and myself for being so utterly useless. For me the step down to nursery was frustrating. 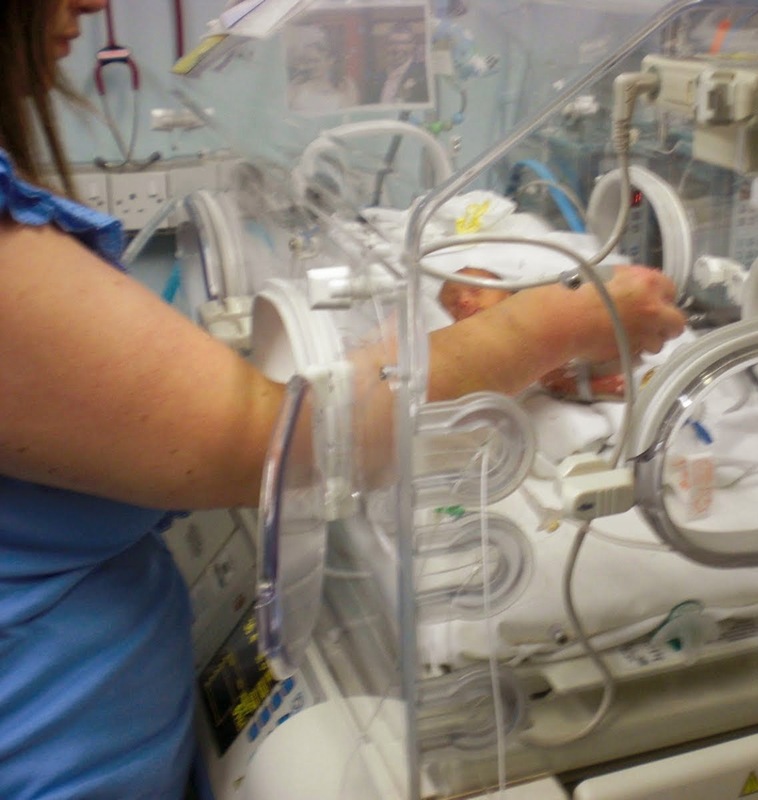 Joseph was moved due to bed pressure, he wasn't quite ready and still on continuous monitoring. I felt the least empowered in special care. Rules weren't made clear and the inconsistencies in HDU were further amplified in special care. I felt very much that I was in the way, I really had had enough by this stage and was just fed up. By this stage too I was utterly exhausted. I no longer had adrenaline getting me through, my milk had dried up, and I just felt a total failure. It was here that I needed emotional support the most, and didn't really have any. I think my Pollyanna persona was detrimental at this stage. When one of our favourite doctors came to me with the date and discharge plan I burst into tears. When she asked what was wrong I explained "its relief, I hate this place and I just want to go home". She was really shocked and started asking lots of questions about how they could make it better for parents, and I couldn't even answer, was just so angry with only a few days to go that now they wanted to know how they could help me. Often when the baby is no longer "poorly" its then that parents need support. When the baby is clearly well, but still not ready for home, and the journey has exhausted the parent, its often then they need emotional and practical help. Everyone I know views rooming in differently. For me I loved it. It was just the most perfect two days. I had Joseph with me on the bed whenever I could. I just held him and gazed at him. As he slept I did something I hadn't done for 10 weeks. I watched television. I read. I was "me" and most of all, I slept. My night time sleep was amazing. Our unit only had single beds so my husband couldn't stay. Our first night he kept the phone by the bed, but I didn't ring him. I slept. Joseph woke at 3 for his feed and then we both went back to sleep. I woke to shouting at 7.30 am "Kylie Kylie I am here are you ok?" It was my husband popping in before work. For the first time in 10 and a half weeks, I had slept. I felt scared and unsettled at first. Joseph took a while to get used to being in a different environment, and this is totally normal. His sleeping and feeding went a bit all over the place. I felt totally shell shocked. I wasn't prepared for the grief. I was grieving the loss of normality, I even grieved losing the unit. That unit I had grown to resent had been my lifeline and now they were gone. I was alone. I felt incredibly isolated at home, and was scared to go to baby groups. I am normally a confident person but having Joseph prematurely and really my own close call with a life threatening illness stripped me bare, it took everything away, but gave me so much in return. It took a long time for me to gain confidence as a parent. It was only when I took Joseph to Australia when he was 6 months old that I realised that actually I was doing a good job, and we were a team. Sadly, it is only now looking at this picture I realise something else. Joseph, as a baby loved me. Just because I couldn't take care of all his needs didn't affect our bond, and this picture really says it all. Very good article as we've walked mostly in the same shoes. As you say, everyone's experience is different and in parts mine/ours was the same and in others it was very different. One thing I did do when we came home was I kept K to the hospital routine. I tried to keep feeding/changing/cares the same so the transition from hospital to home routine was a gradual shift. I also kept a little book of 'K' for the midwife's visit; how much milk and when she had it, If she'd pooed or weed, her SATs. I'd just hand over the book to the midwife and let her look through it. Much easier than trying to remember! It also helped my own transition from institution to home life a little easier. When I was in hospital with S, a new NICU was in the process of being built - so they had part of an old ward. It was dark and dingy and nothing worked properly. In our room there was only S and one other baby who made S look like a right bruiser! The staff were all amazing though - I think at that point I needed more looking after than S, and they all did that as part of their jobs. I am still friends with some of them on Facebook.